What else if not another example of IDIOTIC and BATENE commentary you would see here? Sorry, don’t blame us, blame shia scholars. They filled their books with such mocking of Allah and His Book. 5 – From him with chain till Hannan ibn Sadeer from Jafar ibn Muhammad (alaihuma salam), which said: Words of Allah in (Surah) al-Hamd (7)- The path of those upon whom Thou hast bestowed favors – means Muhammad (sallalahu alaihi wa alihi) and his progeny, salawatullah alaihim. 6 – From him, by chain till Ubeydullah al-Halabi from Abu Abdullah (alaihi salam), which said that (words of Allah in Fatiha) (6) – right path – mean commander of faithful (alaihi salam). 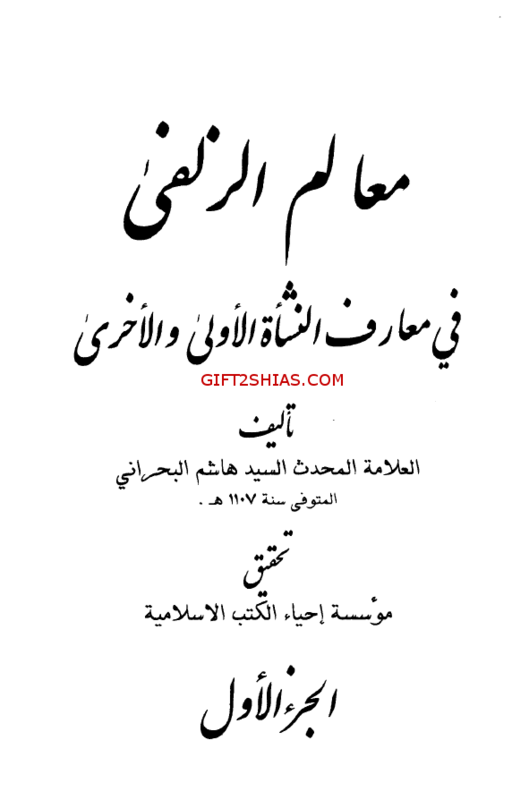 7 – Ali ibn Ibrahim with his chain from Hammad from Abu Abdullah (alaihi salam) which said regarding words of Allah – Right Path – that is commander of faithful, salawatullah alaihi, and his acknowledgement. AND PROOF THAT IS COMMANDER OF FAITHFUL IS HIS SAYING – (Zuhruf 4) And surely it is in the original of the Book with Us, truly elevated, full of wisdom. And that is commander of faithful in original of the book, in His (Allah’s) saying – Right Path. Completely ridiculous explanation, which we could consider nothing but mocking with Book of Allah. Because as I once said, with such explanation, it is easy to see in Quran what ever you wants or needs to find. Just to make it more clear, I would quote transcription of verse from Surah az-Zuhruf, so readers would understand what was so called proof for shias, that under words – Right path – in the Quran in Fatiha, Allah mean Ali and his acknowledgement. 043-004. And surely it is in the original of the Book with Us, truly elevated, full of wisdom. 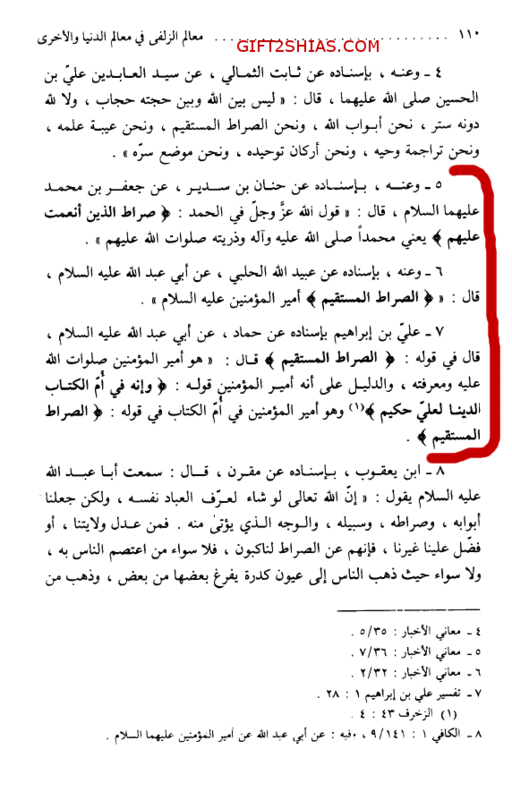 So this Aliyun, shias consider as mention of Ali, and this is proof for them that in Fatiha under words – Right Path, we should understand Ali!! This entry was posted in Shia commentary of Quran, Shia VS Quran by Gift2Shias. Bookmark the permalink.